Features an elegant teardrop design border that complements traditional or contemporary settings. The high quality, hand-rubbed finishes bring out the best in your artwork, photos, or mirrors. 3/8" rabbet. The gold and silver leaf frames are hand-finished with the "Old World" technique of showing lines between each individual leaf which reveals a thin separation line. Color Matching — We do our best to match the color of frames, both on our website photography and in our catalogs, but differences in technology may affect the appearance of the photo on your screen. You are entitled to return, for refund or credit, any frame that does not meet your expectations. 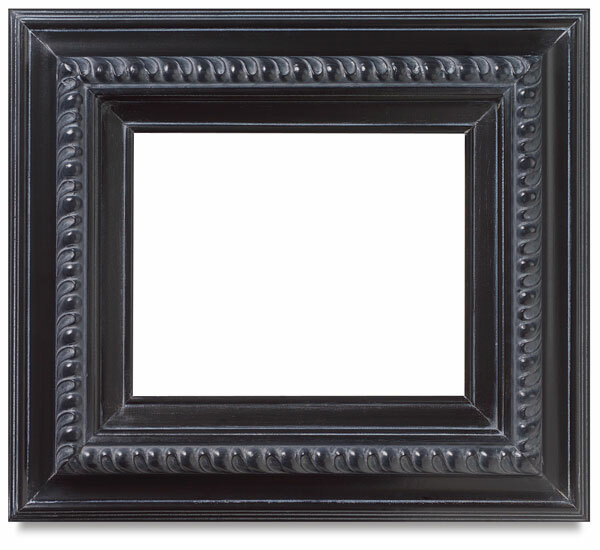 Frame Depth — The depth of a frame refers to the depth of the frame's rabbet (the cut-out area behind the frame's molding that holds your artwork in place). To find a frame that will accommodate your artwork, measure the depth of the artwork, including any matting or mounting materials, and order a frame with a depth that is, at a minimum, the same as that measured depth. 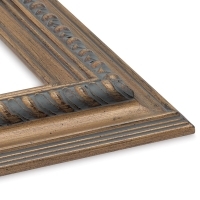 Frame Dimensions — Frames are sized by the opening, not by the outside of the molding. To determine the size of frame to order, measure the outside of your artwork, including mat, and order that size frame. 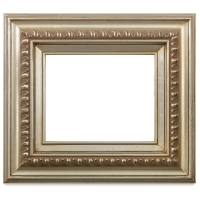 The frame will overlap your artwork ¼" all the way around, so your artwork will fit nicely behind the frame's molding. 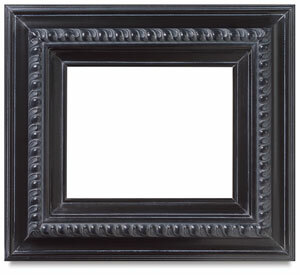 Open Back Frames — These frames are meant to be hung on the wall and are sold as just the frame face. They are not shipped with backing material, glazing material, or hanging hardware. The open back frames are commonly used for traditional profile stretched canvases. There will be additional handling charges or the item may be limited to certain shipping methods.